I recently took a break from reality in one of the most beautiful places I have ever been: Kauai. 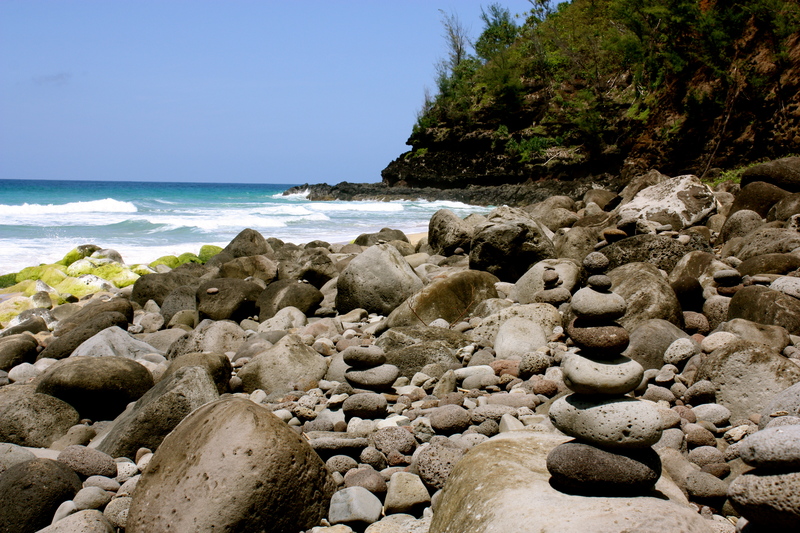 Going to college in San Diego, I thought I had seen more than enough beautiful beaches so, when I found myself stunned by the beauty of a beach on Kauai, I knew I had found something special. Pristine white sand, clear blue water, and dark gray stones made for a staggeringly beautiful afternoon. Not only was I surrounded by beautiful surroundings, I was surrounded by silence. There were no crowds competing for strips of sand, no snorkels popping out of the water; there were only a handful of hikers taking off their sweaty clothes and wading in the water to cool off. 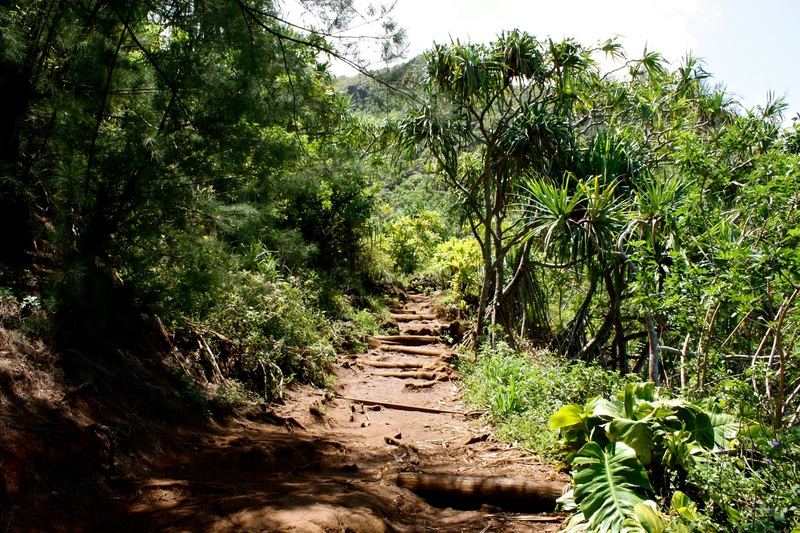 The Hanakapi’ai trail, located on the Na Pali Coast of Kauai, is known as being one of the most challenging and rewarding hikes in the world. It stretches eleven miles (one way) across the Na Pali coast climbing over rocks, winding its way up and down the sea cliffs. It winds through lush vegetation and allows just enough sea breeze to reach you that you don’t get overheated. Two miles into the hike is a remote beach – the one that made me feel like I had landed in paradise. Four miles into the hike is a waterfall. Anything beyond that and your guess is as good as mine. The four miles that we hiked were challenging. There were places where the path gave way to streams and potions of the trail that were made entirely of smooth rocks (which are pretty dangerous on a steep, wet trail). We encountered a substantial amount of mud that we loved because we felt like serious outdoor adventurers while we hiked. While we moved along we encountered more breathtaking views than we dreamed possible. Every time the trees parted and I was given a glimpse of the ocean I was overcome with just how rewarding a hike can be. 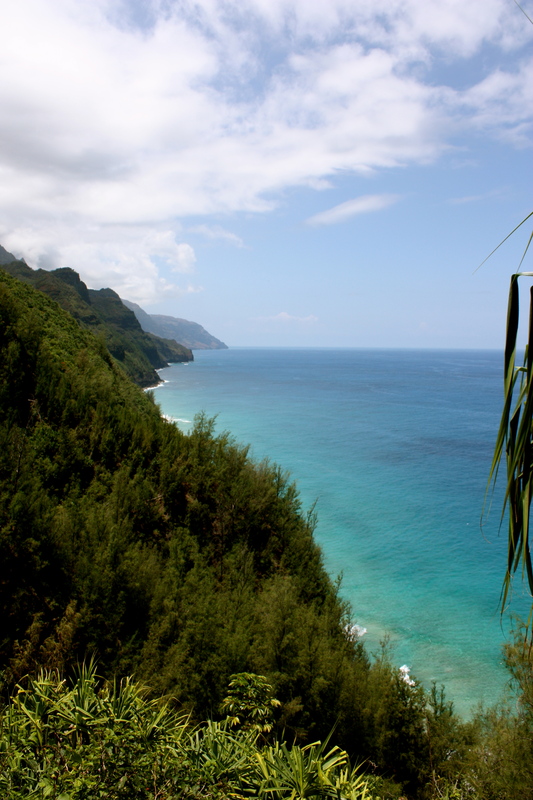 We enjoyed staggering views, a fresh frolic in the ocean, and slight sunburns on our Hanakapi’ai hike. We both loved it so much that when asked what the highlight of our trip was, we both answered: our hike along the Na Pali Coast. This entry was posted in Explore and tagged beaches, explore, hawai'i, hiking, Kauai, Outdoors, sunshine, vacation.